Your cargo is in the safe hands of our experienced ground crews who collectively handle hundreds of thousands of tons of cargo annually. Modern facilities and a vetted, trained warehouse team are at your disposal at all NAS operating bases. We keep pace with the unique needs of the countries where we operate. Many are growing their economies at a rapid pace as they enter into new regional and world markets. At larger airports, like Kuwait, you can expect multi-temperature storage for perishable products and ample dry storage capacity.Your goods are protected by CCTV and proven security measures. Our electronic tracking system enables accurate identification and processing of all shipments and provides uninterrupted visibility to the status of your shipments. Dangerous goods, hazardous materials, live animal handling, strong rooms, express courier and diplomatic mail are managed by our experts. Hazardous cargo receives special attention and is stopped if not cleared for transport. 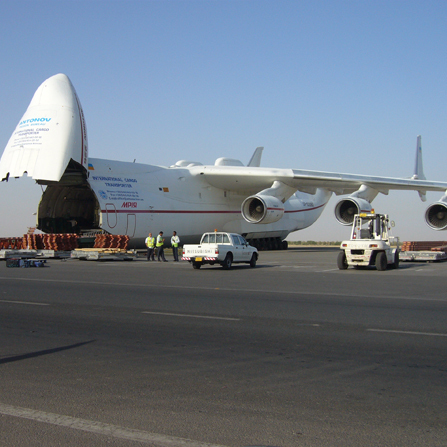 You can be confident of NAS’ ability to meet every aspect of cargo pricing, billing operations and bonded transit cargo as well. The NAS Cargo Management System comprehensively manages every aspect of a cargo business from pricing, cargo operations, billing to supply chain management. This system has an interface that assists in updating airline systems for the FSU messages as well as customs and financial systems. 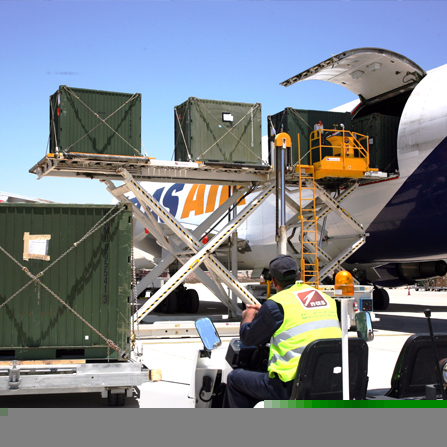 The key features of our Cargo Management System are: Modular and flexible architecture allowing deployment based on functionality, export cargo acceptance and documentation process; which includes pre-acceptance, acceptance of documents, Air Waybill issue and after-acceptance activities, export flight handling process; including lying list and load plan, interline, flight buildup preparation, manifest, load documentation, offloads and flight closing, import flight handling process; with flight manifest, flight documentation, flight finalization and import cargo delivery process; including delivery planning, documentation delivery, customs clearance, after delivery activities. The NAS Cargo operations is an associate member of Cargo 2000; an IT based program designed to make the quality of air cargo transportation services transparent, measure its performance and make improvements to processes where necessary. 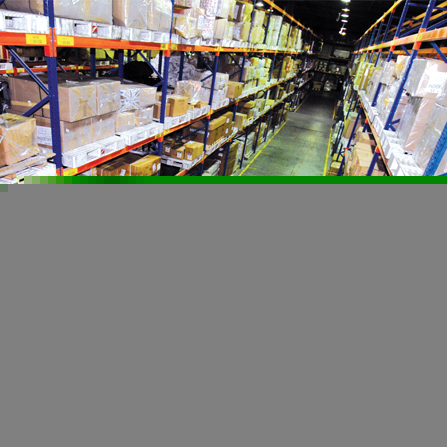 The cargo system allows each and every package of a shipment to be monitored-every step of the transportation process- from date of acceptance up to the delivery of cargo to consignee. Cargo 2000 enables NAS and its customers reduced costs, improvements in service standards and enhancements in customer satisfaction.